Are you looking for professional roof cleaning services on the Sunshine Coast? While your roof cops the brunt of most of the weather conditions, it’s likely to go forgotten until you notice how badly it needs cleaning. Not the DIY type? Don’t worry. Where many people ignore a dirty roof because it requires the relevant equipment and products to do the job well, its great to know how easy and affordable it can be to bypass the hassle of a DIY job. Our beautiful weather often comes with a few cons, especially when harsh weather really kicks in and the combination of heat and rain has made an impact on your home, leaving moss, algae and organic growth to thrive on your rooftop. 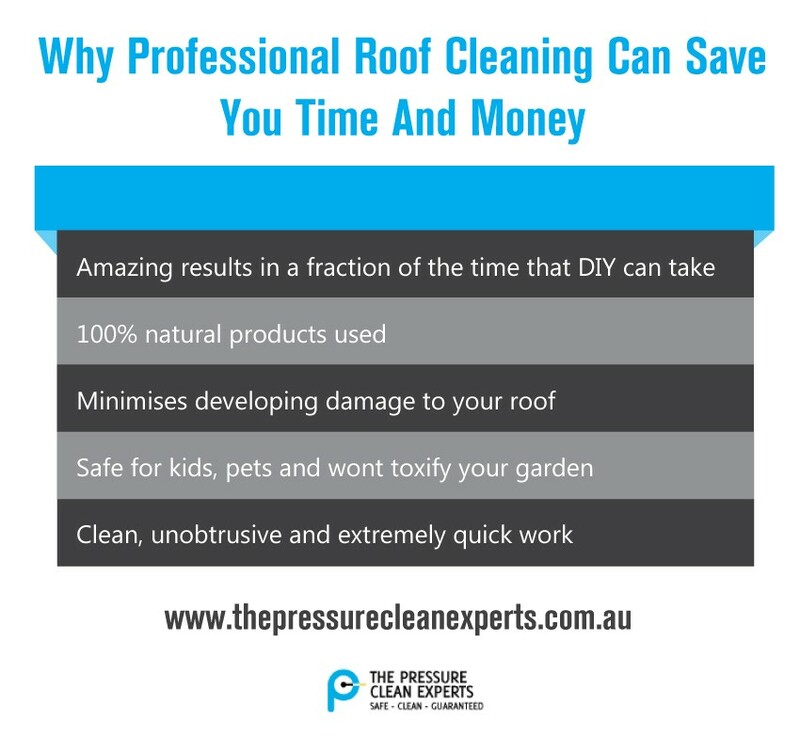 When the first line of action you may take could be a DIY clean, it’s extremely important to consider why professional pressure cleaning for your roof is often the best and only way to go. Did you know leaky roofing is often a product of blocked gutters or accumulated debris? Where a leaky roof always points to major repairs, a dirty roof always points to the opportunity to save money. If you know it’s time to deal with a dirty roof, don’t waste time waiting for a bigger problem to appear. Minimise The Potential For Further Damage Now. Professional roof-cleaning can minimise developing wear and tear on your roof, offer effective solutions that deal with blocked gutters and growing organic material that may cause your roof to pool with water and ultimately leak. Don’t delay in dealing with this easily fixed problem! We can fix it now. We make light work of big jobs. Have you checked out your roof for signs of weather-wearing lately? The onset of our warmer months is a great time to do so. If you stood back to admire your home and realised how desperately your roof needs a clean, it’s time to call in the professionals. We can safely, quickly and effectively bring your roof up to a presentable and well-maintained finish, without the hassle and drama that doing it on your own can mean. Call us today for your obligation free quote!